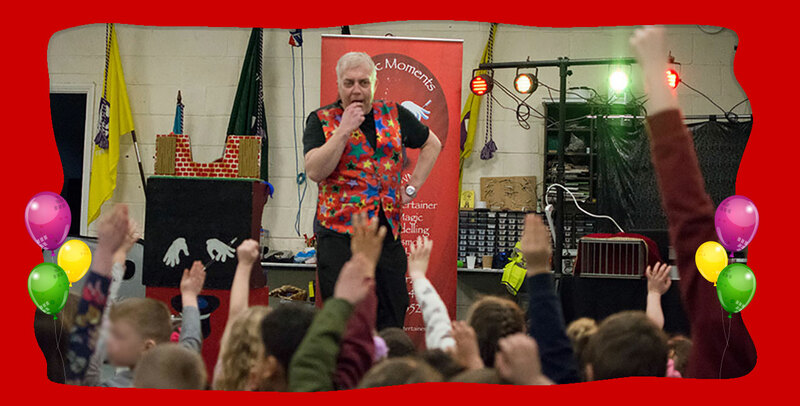 Magic Moments Childrens Entertainment in Berkshire. Since 1991 Magic Moments Entertainment have entertained at over 1000 parties, twisted many thousand balloon creations and brought magic to homes, schools and hospitals to name a few. Our efforts to ensure we tailor make shows and parties to individual requirements have been rewarded with a 5 star business rating on Google. I am now proud to introduce 2 new members to the team: my eldest sons James (10) and Daniel (7). As a team we provide a truly magical party. From balloon modelling to disco’s with games and of course an interactive magic and illusions show where the star of the show is always the birthday child. We also cater for large corporate events from summer fetes and festivals to Christmas parties and product launches.